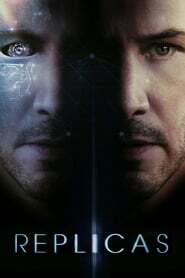 Replicas is a 2018 Thriller Science Fiction movie directed by . It stars Keanu Reeves, Alice Eve, Thomas Middleditch, among others. Replicas is currently rated 5.6 stars on the ReelBugs scale. Nobody does intense expressionlessness like Keanu Reeves. Never take John Wick’s fake family, just don’t. I dont care if its gpod or bad. As long as its keannu, ill support it! Love this man. Keanu Reaves could narrate an 80s Ford F150 Chiltons manual and I'd totally check it out. How does this video have 4m views but not even 1k likes??? Its John Wick meets The 6th Day! They made this in the 90s with Arnold Schwarzenegger. I saw "from the producer of Transformers" and instantly lost all desire to see this. I really loved this film!! It asks an integral question about genetic engineering and AI. Is that the Verizon guy? That guy does not want to sit home sleep.n do nothing.. This must've been a real tough role yet healing for Keanu seeing as he did lose his wife & child.